Earth Day is a national day for spreading awareness about conservation, recycling, green living, and other ways to help take care of our Earth. Since conservation is a way of life, it’s important for children to learn about the value of environmental care. 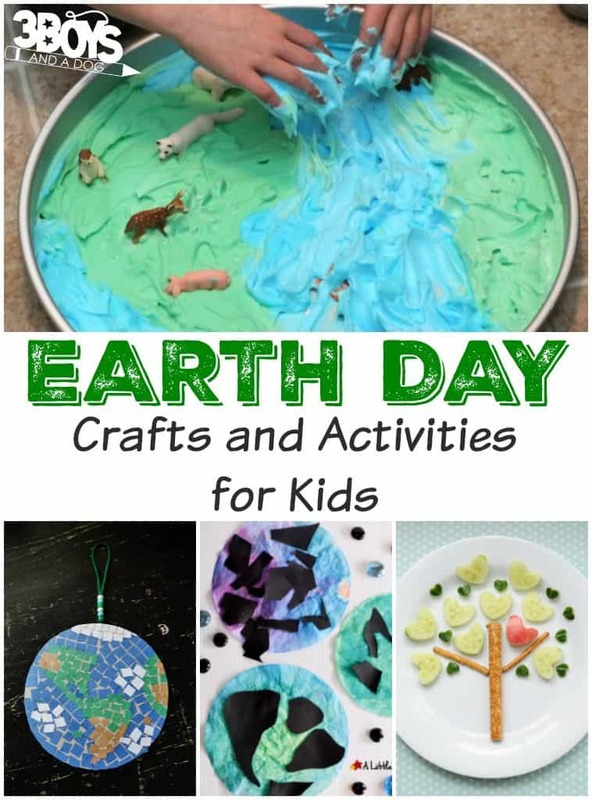 And these fun Earth Day activities and crafts for kids are a great way to get started! 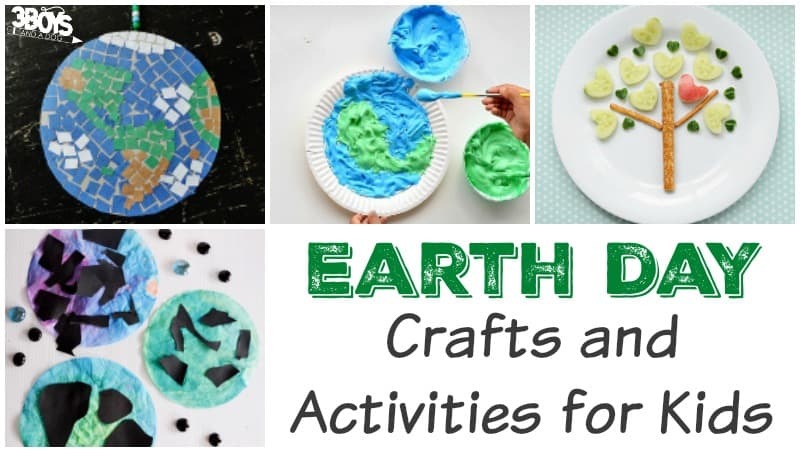 This list includes fun Earth day paper crafts, Earth day snacks, Earth day printables, and even Earth Day sensory play ideas – so there’s something here for kids of all ages! 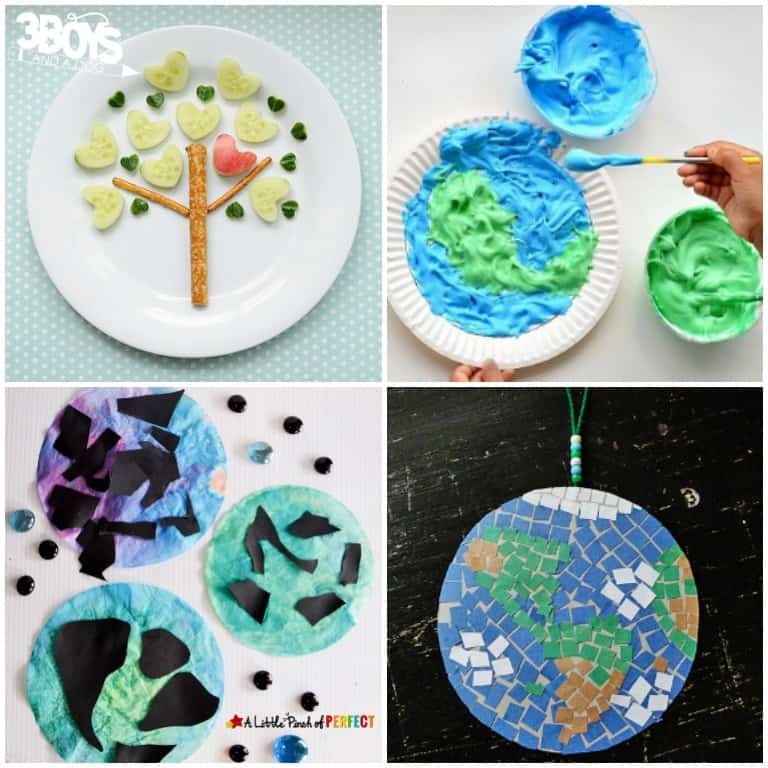 Don’t miss these DIY Crafts Using Recycled Materials – perfect for an Earth Day party! 1. Pick up these Earth Day Handwriting Printables to give kids a bit of penmanship practice! 2. This easy Earth Day Washi Tape Flower Vase is a neat way to make an upcycled craft! 3. Suncatchers are a fun spring craft. These Earth Day Coffee Filter Suncatchers are a nice way to add in Earth Day crafts for young kids! 4. Turn a paper plate into our planet with this easy Paper Plate Earth Day PreK Craft! 5. Grab these Earth Day Themed Boy Coloring Pages for some environmental-themed coloring fun! 6. Put together a printable unit study with these Earth Day Printables! 7. Throw an Earth Day party and make these fun Earth Day Cupcakes! 8. Work on fine motor skills while making this Earth Day Paper Plate Weaving Craft! 9. Have a quick art lesson with this Puffy Paint Earth Art! 10. These Tin Can Herb Pots are a simple way to learn about plants while reusing household objects! 11. These Earth Day Coloring Pages for Girls are great for little girls to color! 12. This Tissue Paper Earth Day Craft is a toddler and preschooler-friendly craft that only takes a few minutes! 13. Turn trash into a toy with this cute DIY Recycled Litter Bug Craft! 14. Bake up some beautiful Earth Day Cookies and share them with the kids! 15. This Balloon Stamping Earth Day Craft is a fun idea for little ones! 16. Use an old water bottle to make this DIY Upcycled Butterfly Feeder! 17. Help your grade schooler practice cursive with these Earth Day Cursive Handwriting Printables! 18. Make your own Homemade Seed Paper to teach children about how recycled paper is made! 19. Teach kids what items can be recycled with this Recycling and Sorting Activity for PreK! 20. This beautiful Earth Day Mosaic Art is a perfect art activity for fine motor skills! 21. Don’t want to make a mess? Try this No-Mess Earth Day Smoosh Painting for toddlers! 22. Use this Bug Search Science Experiment to help children identify different insects! 23. Work on preschool writing skills with this printable Earth Day Preschool Handwriting Practice! 24. Gather up old water bottles and have a Water Bottle Boat Race! 25. Make a batch of lovely Earth Day Playdough for some sensory play! 26. This super cute “Dirt” Cup Treat for Kids is a sweet way to learn about composting! 27. Put together this easy Earth Day Shaving Cream Sensory Play to keep the toddlers happy and entertained! 28. Sing this cute Earth Day Song to help kids remember why recycling is important! 29. Give the kids this Earth Day Printable Word Search for quiet play! 30. Turn a classic treat into an Earth Day snack with this Edible Rice Krispy Treat Earth! 31. Here’s another way to reuse tin cans: Make Upcycled Mini Tin Can Drums! 32. Pick up this Printable Earth Day Board Game for Pre-Readers and have some Earth Day fun and games! 33. This simple Earth Day Tree Snack is both beautiful and healthy for kids! 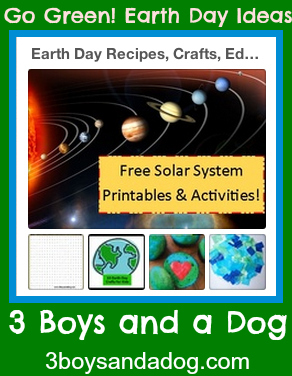 These Amazon affiliate resources are great for creating a fun Earth Day unit for kids! This earth day celebration ideas is new as well as important for us. Above link is really helpful to more about green earth. Through this craft you can learn lots of vital things. Thanks a lot.